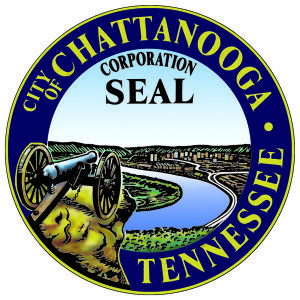 The City of Chattanooga has joined the US Department of Energy's Better Buildings Challenge and pledged to reduce energy consumption in 200 City-owned buildings by 20 percent over the next decade. Now, Mayor Berke is challenging organizations across the City to take the challenge and build a more sustainable Chattanooga. Sign up to show your support, find out how to join the challenge, and be the first to know about important updates on this initiative. 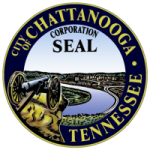 As part of the City's commitment to reducing energy consumption in City-owned buildings, the City of Chattanooga commits to completing a showcase project. Showcase projects demonstrate the City's immediate, concrete actions resulting in significant and real savings. Your organization can join the City of Chattanooga in accepting the Department of Energy's Better Buildings challenge and find innovative ways to save energy in your facilities. Time Free Press 1/19/16 "Chattanooga to participate in challenge to build better buildings"
Chattanoogan 1/19/16 "Mayor Andy Berke Accepts DOE's Better Buildings Challenge"
Nooga.com 1/19/16 "City joins challenge to reduce energy consumption by 20 percent"
WDEF 3/2/16 "EPB and City of Chattanooga Team Up to Make Buildings More Energy Efficient"
White House 5/11/16 "Fact Sheet: Administration Announces New Actions and Progress Made to Make American Buildings More Efficient and Save Businesses and Households on their Energy Bills"